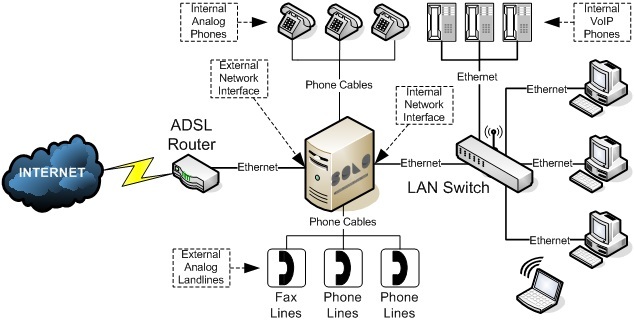 Most businesses and even household today have some sort of Data and Telephone cabling system installed. In the case of a home structured cabling or home smart wirings is utilized (please refer to our Structured Cabling page for more detail). Organizations today cannot operate without the need to have internet and telephone throughout the operation to perform their daily task. As a requirement, individual phones and computers are patched into a central company server for file sharing and connection to the outside world. ATS can help you design, plan and install your network that will give you seamless communication within your organisation. We can work with you to start your cabling, patched panels, racks, cabinets etc. Either way, we work with you to achieve what your network was designed to do. We can even organize to have out Network Solution partners, to consult with you to design, implement and evaluate a suitable infrastructure and supply you with the required hardware in order to deliver an end-to-end robust business solution for your organization, as well as provide the ongoing training and support. In addition to the commercial application we can also cater for the domestic requirements, with the installation of phone and network points. It can be a part of a smart wiring solution or just a simple extension of a adding to your existing points.